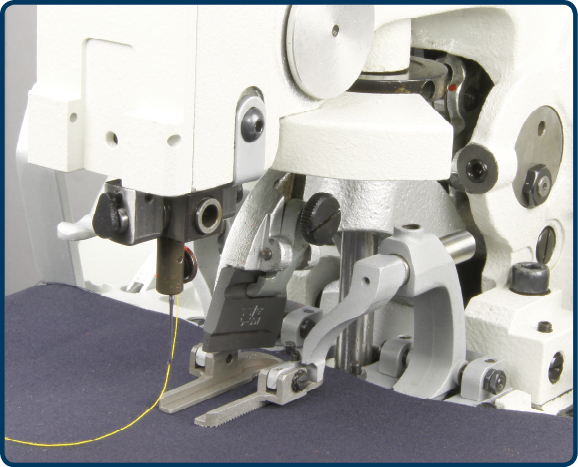 Description: Imitation hand stitching with a top gimp attachment, dedicated to cut before. To view available sewing patterns please click here. Applications: Fine tailored clothing, jackets, vests, topcoats where a hand finished look is required. 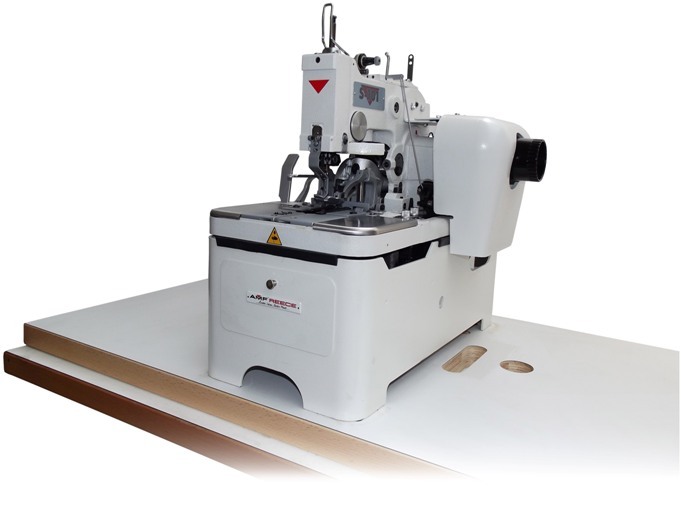 Description: Imitation hand stitching with a top gimp attachment, dedicated to cut after. To view available sewing patterns please click here. Description: Adjustable Flybar model with cut before and cut after application. To view available sewing patterns please click here. Description: Adjustable Flybar model with cut before and cut after application. To view available sewing patterns please click here. 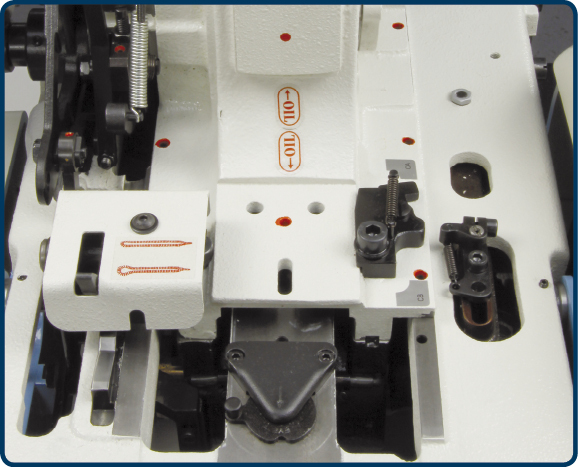 The only difference between this model and the 030 model (see above) is that the 030W model comes with the waistband clamp feet. 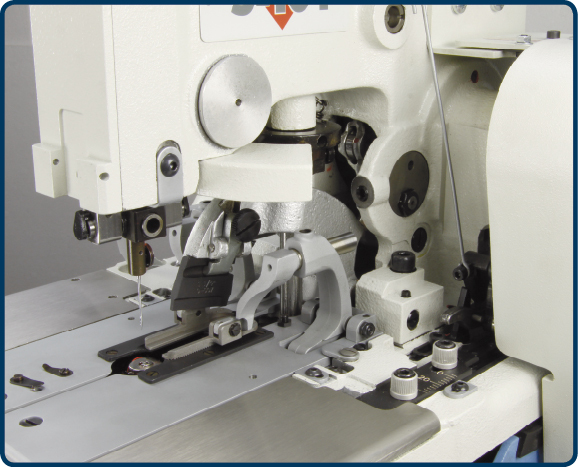 These specially designed feet have a very narrow foot to allow for a closer contour of the buttonhole and clamping of the fabric inside the waistband folds. 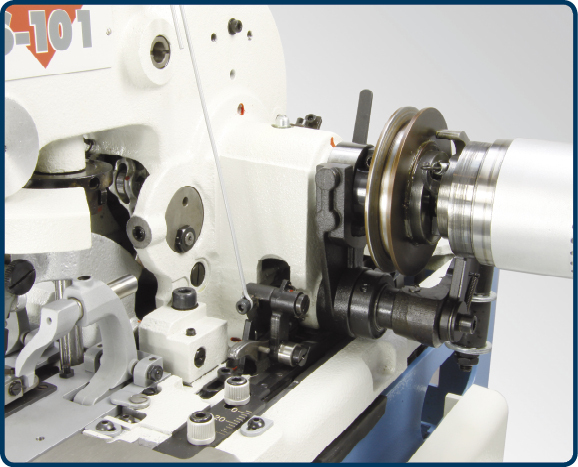 Waistband clamp feet are shorter than normal clamp feet and cannot be used on applications longer than 19mm. 1 10.1069.0.006 Cutting Steel 1 1/8"
2 10.1069.0.004 Cutting Steel 7/8"
3 10.1069.0.002 Cutting Steel 5/8"
4 10.1069.0.013 Cutting Steel 7/8"
5 10.1069.0.012 Cutting Steel 3/4"
6 10.1069.0.011 Cutting Steel 5/8"
7 10.1069.0.010 Cutting Steel 1/2"
8 10.1069.0.014 Cutting Steel 1"